Avatar als Prothese ist eine künstlerische Recherche der Medienkünstlerin Gretta Louw und ein Kooperationsprojekt von Louw, der Stiftung Pfennigparade, dem Institut für Kunstpädagogik der LMU (Dr Karin Guminski) und dem Kulturreferat der Landeshauptstadt München. Louw forscht nach den Möglichkeiten, die sich durch Avatare für kollaborative Kunstprojekte und Projekte im Bereich Kunst und Inklusion ergeben. Fünf Monate lang arbeitete sie mit Dr.Karin Guminski und ihren Studierenden der Kunstpädagogik LMU München und den körperbehinderten Künstlern der Pfennigparade an künstlerischen Projekten: zum Teil konkreten Avataren, aber auch Konzepten, Bildern und kritischer Auseinandersetzung. Der virtuelle Raum ist keine Fiktion, er wird „real“ erlebt und kann damit eine Zone zum Ausprobieren und Lernen sein, aber auch ein Ort für Flucht und Zuflucht. Die künstlerischen Projekte die im Rahmen des Projekts Avatar als Prothese entstehen, ermöglichen den Teilnehmern neue Erfahrungen, erschaffen Räume und loten Möglichkeiten für zukünftige Kooperations-Projekte zwischen Künstlern, unabhängig davon ob mit oder ohne Behinderung, aus. Mehr über die Zusammenarbeit zwischen Louw, der LMU, der Stiftung Pfennigparade, und dem Kulturreferat München im Video. Das Doku-Video Avatar als Prothese wird in München vom 20. Mai bis 14. Juni 2017 im Kösk gezeigt, als Teil des Köskival Festivals. Danach wird das Projekt voraussichtlich im September in der UNSW Galleries in Sydney, Australien gezeigt, sowie bei den Medientagen im Oktober in der Stadtbibliothek Am Gasteig. Avatar as Prosthesis is an artistic research project by artist and writer Gretta Louw, investigating the relationship between digital and physical bodies. What are the psychological mechanisms that govern our identification with our avatars? How do we construct identity online – whether as a customised avatar on a VR platform like Second Life or an MMOG or in the form of a social media profile – and how do these online identities effect our sense of self, offline? The digital, virtual space is real – not only in the sense that is would not exist without the masses of phsyical infrastructure (cables, power stations, real estate, server farms and so on) of the internet, but also because people have real experiences within it. There’s a growing body of research that demonstrates how online interactions and our relationships to our avatars impacts our psychological, emotional, and physical states and wellbeing. Researchers, however, are still only just beginning to speculate on the actual neuropsychological mechanisms are that mediate this interplay between the digital and the biological / psychological. Meanwhile, there’s a new wave of VR hype with huge amounts of money being invested into research and development of new virtual reality platforms, headsets, games, and marketing strategies. There’s a sense from within the tech community that the technological advancement is a sufficient, or even glorious, goal in itself – but no new technology is neutral; there are always biases and socio-political assumptions built in. This headlong rush towards the technological future is being pushed by a small group of private interests from amongst the tech elite. Thus it becomes essential to critically interrogate these new milestones in the evolution of tech; to examine the social implications and impact on culture and psychology, to critique the inherent limitations and in-built prejudices, as well as to speculate upon possible non-standard uses of the technology to forward socially beneficial, inclusive goals. Since 2013, I’ve been following the relevant research within the scientific community, engaging in discussion and exchange with researchers, conducting my own research and interviews, and collaborating with artists, organisations, and students to better understand the psychology that underlies our interactions with our online avatars. In doing so, I take the broadest possible approach to defining an ‚avatar‘; the term should not be limited to video/computer games, or VR platforms, but applies equally to anyone with a social media account or any kind of online presence. These sort of curated representations of ourselves are always, in a way, an avatar – a means of interacting with the world where we, ourselves, are not physically co-present. My research quickly led me into collaborations with disabled artists or artists with mental health issues and the organisations that support them, as these communities have long been integrally involved in VR platforms, online gaming, blogging, and other modes of online social interaction and exploration. In January 2016, the Culture Department of the City of Munich commissioned a video installation from the project as part of their symposium Du Muss Dein Leben Ändern… (You Must Change Your Life) at the Kammerspiele theatre. Later that year I did a two-month residency at DADAA in Perth, Western Australia exploring digital art-making with the DADAA artists and the socio-political aspects of the digital and virtual realm, particularly in relation to mental health. 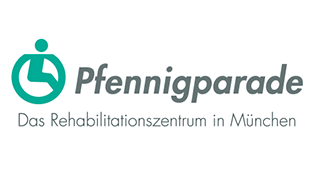 In Autumn 2016, I began a collaboration with the Institute for Art Pedagogy at the Ludwig-Maximilians University in Munich – Dr Karin Guminski, the Stiftung Pfennigparade – an organisation supporting disabled artists, and the Cultural Department of the City of Munich (Maximilian Dorner and Stephanie Lyakine-Schoenweitz). 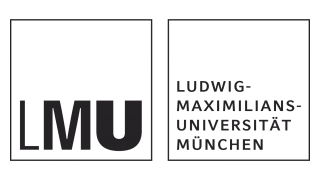 For the duration of one semester, the students at the LMU experimented with 3D modelling and each created an avatar that, in some way, functioned as a digital prosthesis and which were presented in a VR cave at the Leibnitz Rechnenzentrum. The Pfennigparade artists explored both conceptually and in practice the VR realm in weekly workshops culminating in a public presentation of their work at the Kreativlabor and a documentary video (German). Avatar as Prosthesis is an ongoing project with upcoming exhibitions in September at the UNSW Galleries, in October at the Medientage in the State Library, Gasteig in Munich, amongst others TBC. Special thanks to: Christopher Williams, Simone Flavelle, Sandra Danilovic, Maximilian Dorner, Karin Guminski, Thomas Potthoff, Michael Lapper, Uwe Strack, Kati Becker, Kate Anthony, Philipp Plum, Stephanie Lyakine-Schönweitz, Sarah E. Davies, and Katrin Petroschkat.